We walked to Wal*Mart this morning. 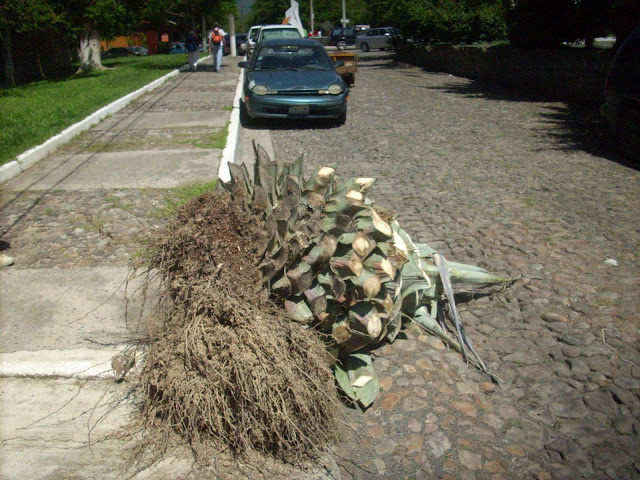 On the way, we passed a house where overgrown agave plants were uprooted to make way for a new landscaping scheme. We counted at least a half dozen of the humongous "pineapples" being discarded. Tequila is made from the mashed core of the agave's pineapple.